Now, who just doesn’t love Pokémon? I remember waking up early Sunday morning just get my fix of Pokémon. Watching the adventures of Ash and his gang constantly showcased amazing feats. As a child, I wanted to be in that world. Nintendo is bringing what began all of it to the modern day big screen. This Pokémon Trailer showcases what we loved about Pokémon. I can’t wait to see it. The team have outdone themselves on this recreation of Pokémon, the visuals look phenomenal. Watching sassy Pikachu is something that hits you in the heart and the music gives you goosebumps. This’ll be one hell of an adventure. There is no release date for New Zealand just yet, though Nintendo has announced that Pokémon the Movie: I Choose You! will be released on November 5th and 6th in select cinemas in the United States. Let’s hope we’ll see a release date for New Zealand very soon. This isn’t the only thing that Nintendo is releasing! 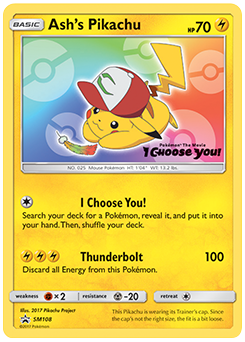 For a limited amount of time, you can get a Pikachu wearing Ash’s hat placed into your Pokémon Sun or Pokémon Moon game. 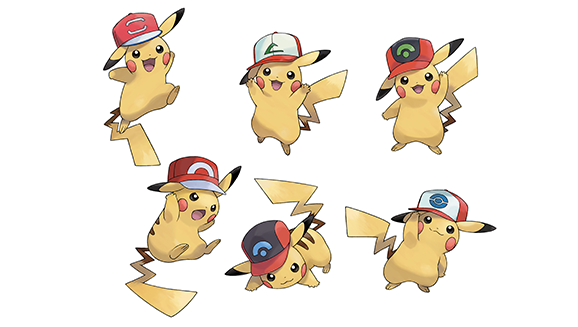 Every week on the official Pokémon site, they will be posting a code that allows you to receive one of the six available hats in your game. Not only will they have the different hats but they will also come with unique sets of moves! If you own Pokémon Ultra Sun or Pokémon Ultra Moon you can receive a QR code from one of the showings where you can receive a never before seen card for Pokémon TCG. It’s been awesome seeing Pokémon grow into a mature franchise that we all love, I can’t think of a better way to commemorate this milestone! Previous articleAnime Intro for ‘Game of Thrones’… and It’s INCREDIBLE! Would You Want To Go On A Date With Hatsune Miku? Can You Name All These Random Anime Characters?